As the desire for destination weddings continues to rise, so does the need for pre-inspecting wedding venues. As an added incentive, select Velas Resorts in Riviera Nayarit, Puerto Vallarta and Los Cabos are offering future newlyweds special upgrades if they move forward with booking their wedding within 30 days of their inspection visit. Grand Velas Los Cabos offers couples a resort credit equivalent to their stay for use during their wedding. At Grand Velas Riviera Nayarit, a beauty afternoon for the bridal party at the award winning Se Spa, starting with the Hydrotherapy Ritual which includes a revitalizing shower, herbal steam and Sauna, a dip in the two- temperature lagoon, time in the Jacuzzi and a final multi-jet Swiss shower. While the bridal party gets pampered, the groomsmen can enjoy a golf afternoon at world class golf courses. The Marina Vista Vallarta Golf Clubs offer practice facilities, a luxurious clubhouse with restaurant, bar and lounge, verandas, golf shop, and on-course beverage service. Casa Velas also treats the ladies to an afternoon of pre-wedding beautification while for the guys, it's an artisanal craft beer pairing and special cigar rolling for the groomsmen. 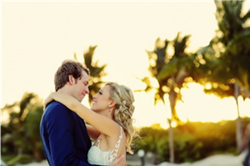 For more information on Velas Resorts Weddings or to book, please call 1-866-868-0922, email weddings@velasresorts.com, or visit https://www.velasweddings.com. Offering unparalleled all-inclusive experiences, the four Velas Resorts in Riviera Maya, Puerto Vallarta and Riviera Nayarit have earned more than 48 AAA Diamonds, including the prestigious Five Diamond Award. Other esteemed international awards for their services and facilities include Virtuoso's "Best Spa", Conde Nast Johansens' "Most Excellent Resort" and "Most Excellent Spa Hotel" and the American Academy of Hospitality Sciences' 5 Star Diamond Award. Properties include Casa Velas named the 8th Best Hotel in the World on The Expedia® 2013 Insiders' SelectTM List, a boutique adults-only hotel and ocean club located on the Marina Vallarta Golf Course, and Velas Vallarta a family-friendly all suites resort and spa located on Banderas Bay, both in Puerto Vallarta; and the AAA Five Diamond Grand Velas Riviera Nayarit located in Riviera Nayarit. Completing the group is Grand Velas Riviera Maya, located five minutes from Playa del Carmen, offering the most sophisticated, ultra-luxury all-inclusive resort experience in the Caribbean with jungle and beach settings. Velas Resorts feature spacious accommodations, spas, a unique culinary experience at a selection of restaurants, 24-hour insuite service, fitness centers, Butler service, state of the art conference centers, extensive family programs, fully stocked mini bar and more. Velas Resorts are operated by Eduardo Vela Ruiz, founder and president of Velas Resorts, with brother Juan Vela by his side, vice president of Velas Resorts.